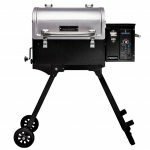 There is a significantly large demand for compact and highly portable indoor grills. They are especially popular for people who live in an apartment or condo where outdoor grilling simply isn’t allowed or is frowned upon. At the same time, people living in areas where there’s a lot of rain or harsh winters often find themselves wishing they could enjoy a grilled meal, but they don’t want to go outside to do it! The Tenergy Redigrill TG01 uses infrared technology to generate high and consistent heat. Infrared heat also doesn’t affect food’s natural moisture barrier like direct fire does. This means that what you are grilling will actually retain more of its natural juices. The way the reflected infrared heat works also helps to reduce smoke production by up to 80%! The Tenergy Redigrill was also designed for easy cleanup. The lower drip pan and the top grill were made to be dishwasher safe. 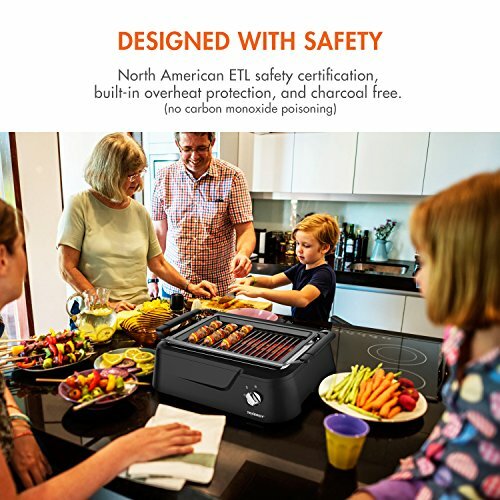 Tenergy also understands that safety is a critical factor when it comes to indoor grilling, so the Redigrill was built to and has been certified as being safe by North American ETL standards. The infrared system has two different heat or intensity settings one is for intended to be used as a warming feature and the other is full on high heat. On the highest setting, the Redigrill can reach as high as 445 degrees. Just be sure to give it at least six minutes to fully preheat. 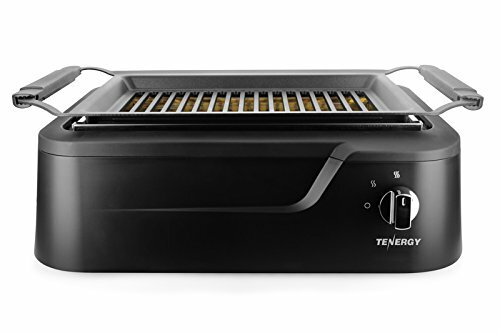 The Tenergy Redigrill is relatively lightweight, coming in at just over 13 pounds. It might feel a little on the flimsy side, but it holds up just fine. The removable grill grate is made from aluminum with a special nonstick coating. There is almost zero assembly required beyond unpacking it and making sure the drip pan and cooking grates are set in place. 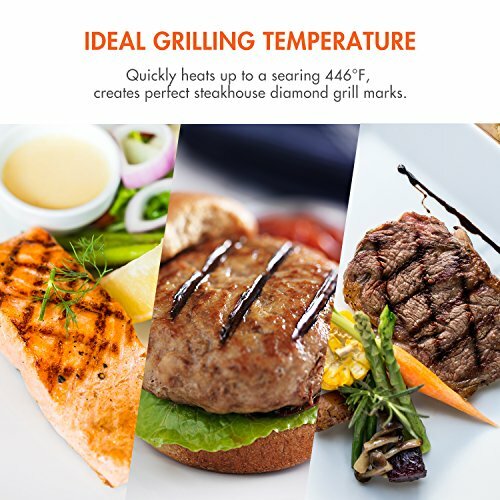 Most indoor grills use electric nichrome heating elements to sear meat. 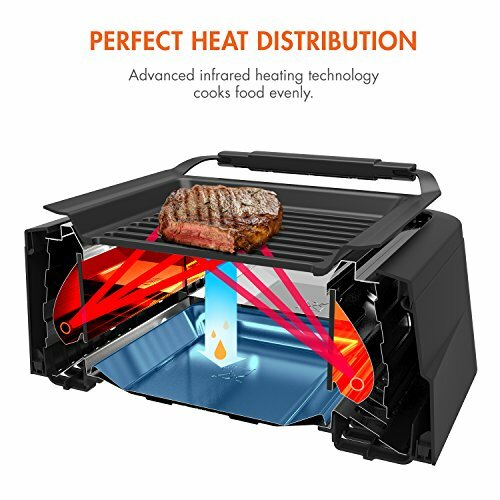 The Tenergy Redigrill uses refracted infrared heat, generated from an electric source. This means that the meat or vegetables you are preparing isn’t so much cooked by heat load as they are seared and warmed through by penetrating infrared light. It also means that the food’s natural moisture barrier isn’t disturbed, so you generally end up with a juicier piece of meat. While it is supposedly 80% smokeless, it still has the potential to make enough smoke to trigger a smoke alarm. This is more likely to be an issue if you are making something that is fatty or has an excess amount of wet marinade. So, it is still a good idea to use it near a vented oven hood or near a window that can be quickly opened if need be. This grill will produce a nearly authentic Japanese Yakitori and some Korean barbecue dishes. It will grill a steak nicely. It really shines when you use it to make beef or shrimp kebabs. Even if you are going to be making a large number, you can just pull finished skewers off the grill grates to keep them warm wrapped in an aluminum foil pouch covered by a clean tea towel. 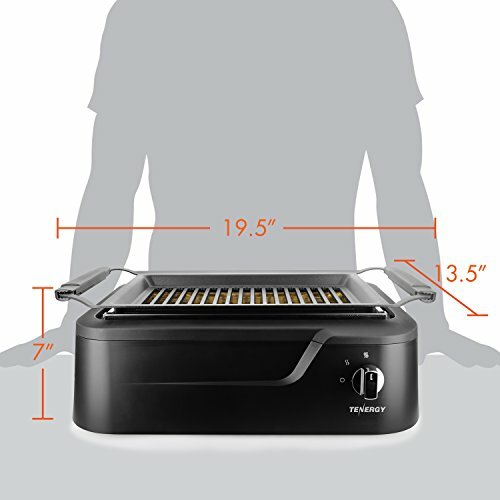 The Tenergy TG01 Redigrill has two heat settings. While the lowest is technically intended to be a warmer, you can potentially use it help cook a bone-in piece of meat like a chicken breast, set with the rib side down. Just bear in mind that this isn’t the type of indoor grill you want if you intend to take things straight out of the freezer. The intensity of the infrared heat tends to burn the exterior of frozen foods before the inside fully cooks through. Even something as simple and thin as a frozen hamburger patty might be a problem. So, you should always remember to thaw frozen foods or simply work from fresh. In the end, hand making your own hamburger patty isn’t that much more work. The Teflon coated aluminum grill grate provides 200 square inches of space. If you lay them out just right, there is enough space to grill two ribeye steaks. One area where the Tenergy TG01 Redigrill really shines is in the cleanup. Just make sure it is fully cooled down before you start. If you need to scrape down the grill, you should use gentle nylon bristled brush. A metal wire brush or even an aggressive rub with an abrasive sponge can damage the nonstick Teflon coating. When you pull out the drip tray make sure not to jerk it. Even though it can hold a fair amount of grease and drippings it is relatively shallow, and the last thing you want to do is slosh grease onto your kitchen counter or table. 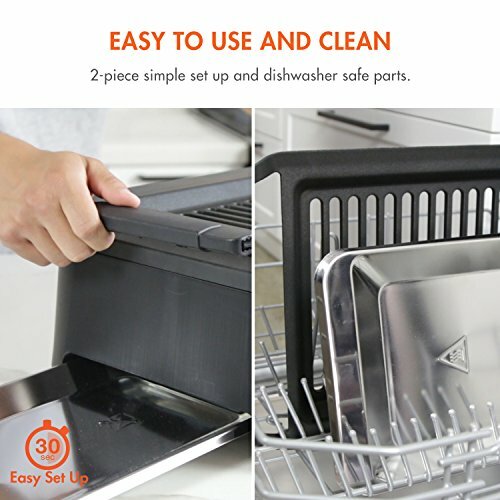 Both the drip tray and the grill grate were designed to be dishwasher safe. Just make sure that the grill grate isn’t touching anything else in the dishwasher. You don’t want to risk scraping the Teflon coating. You can then wipe down any spatter from the outside of the base with a damp cloth or nonabrasive sponge. You should never place the base in the dishwasher or get the internal elements wet, as it still is an electric appliance. 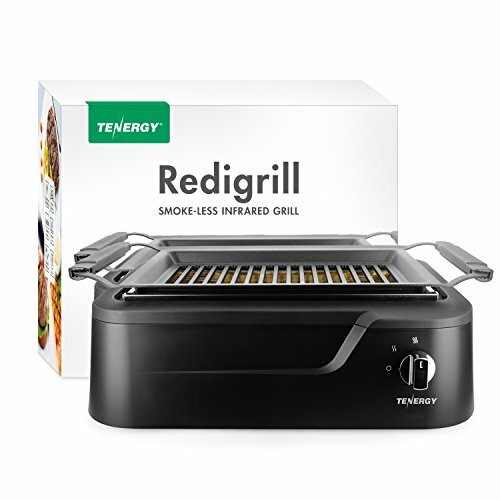 The Tenergy Redigrill comes with a 1-year warranty from the date of purchase. This is for manufacturer parts and defects and assumes that the grill has been used correctly. 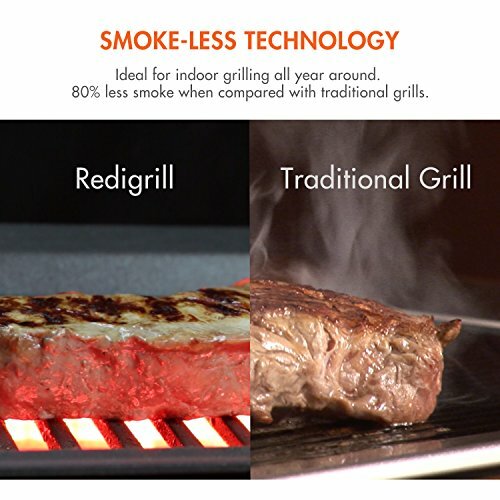 The Tenergy Redigrill offers a little something different than other indoor electric grills. It’s easy to use and generates intense infrared heat. Just remember to thaw food in advance and use care to clean it correctly. Preserving the Teflon coating on the grill grate should be a long-term priority. 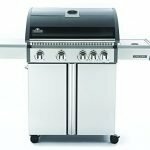 EASY TO USE AND CLEAN - Two-piece setup home grill takes less than a minute to start grilling. Just put the grill rack on top, slide in the drip tray, and plug in the power and the grill is ready. Clean up is just as simple and stress free thanks to the non-stick grill and dishwasher safe parts.